Lady Gaga had a wonderful evening on Sunday night at the 24th Critics' Choice Awards. 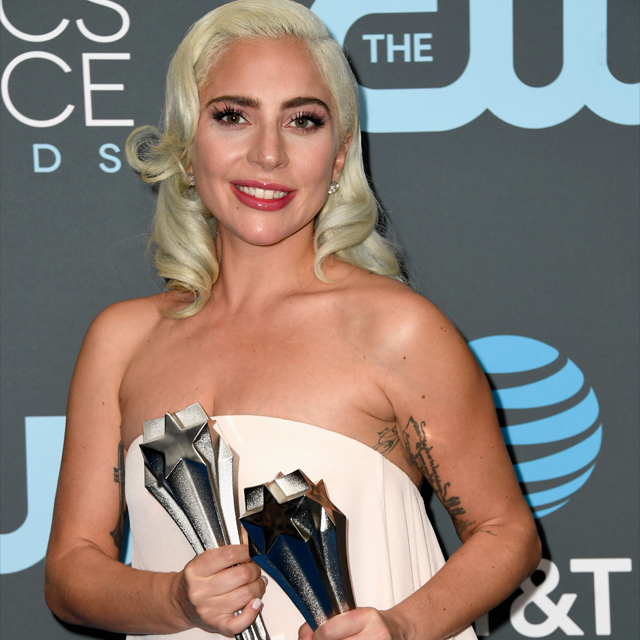 The Perfect Illusion singer took home the award for Best Song for Shallow and a tied-shared award with Glen Close for Best Actress for her acting debut on the Bradley Cooper directorial debut A Star Is Born, which has been praised worldwide and nominated for multiple awards. Wearing a strapless silk gown by Calvin Klein, 10-carat diamond earrings by Djula Jewelry and paired with custom Guiseppe Zanotti shoes, Gaga delivered her speech saying: "I am so honored by this," Gaga said in her speech. "I went to place in my mind and in my heart that I didn't know existed. This is a tremendous honor, I feel recognized not just for my performance but for the inner work it took in the creation of this character." The now actress and twice Golden Globe winner also thanked her co-star and director Bradley Cooper for being a "magical filmmaker and just as a magical human being. "Watch Gaga accept Best Song and Best Actress alongside Glenn below.